MOUNTING CLAMP FOR CAP. 50MM DIA. MOUNTING CLAMP FOR CAP. 35MM DIA. MOUNTING CLAMP FOR CAP. 55MM DIA. 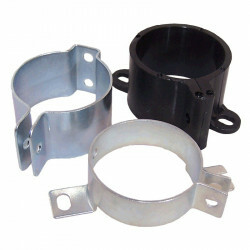 MOUNTING CLAMP FOR CAPACITORS 45MM DIA.